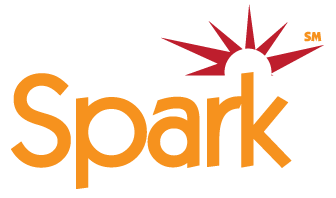 FireUps Local Online Marketing Service has officially released our online Lead Management Solution Spark! Spark enables the everyday small business owner with powerful tools for managing all current business channels and track there effectiveness as well as grow the business withe the intelligence to make the right decisions. Spark Lead Management solution tracks all phone calls and web submissions and provides Customer Relationship Management (CRM) functions to further enhance the power of the tracking system. Once in place our customers can track every dollar invested on marketing the business back to actual sales. Monitoring the effectiveness of your marketing dollars as a small business just became a REALITY. FireUps® is the granite and natural stone installers source for instant exposure to local and national markets with strategically Targeted Online Marketing Campaigns and proven Web exposure. FireUps provides local online marketing services for the small to medium sized granite surface installers with a focus on the proven results that will increase your bottom line. Our teams expertise in direct to consumer marketing is second to none, and we want to share how we can help ensure your business is found by the pro-active customer who is searching for counter tops made from granite, stone, marble or other stone surfaces. Just the niche product or services you provide! FireUps® will put your counter top product, installation service and surface remodeling company on the virtual map and generate a buzz that you could never have imagined. We focus on maximizing your return on investment through a clear understanding of your business objectives and by translating your value proposition to your customers!